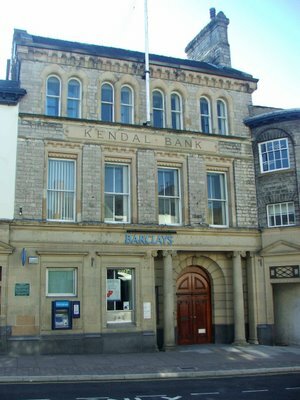 The castles, towers and fortified buildings of Cumbria: Some of Kendal's interesting buildings. When it burnt down in 1969(?) it was Musgroves drapers. The cupola(?) at the top is a wooded copy of the original and I'm surprised it's still standing! It certainly wasn't Musgroves when it burnt down,it was Bradley's. 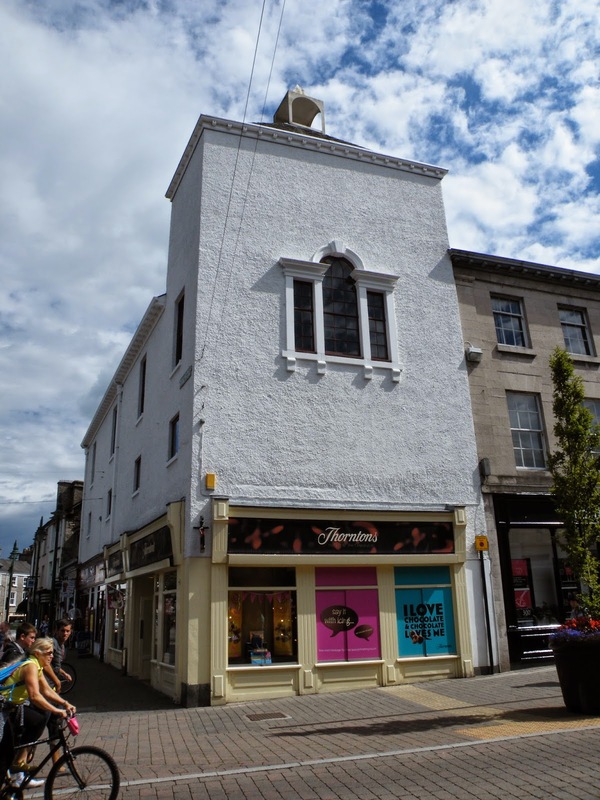 Musgroves was a different shop in Finkle Street that also suffered a disastrous fire. 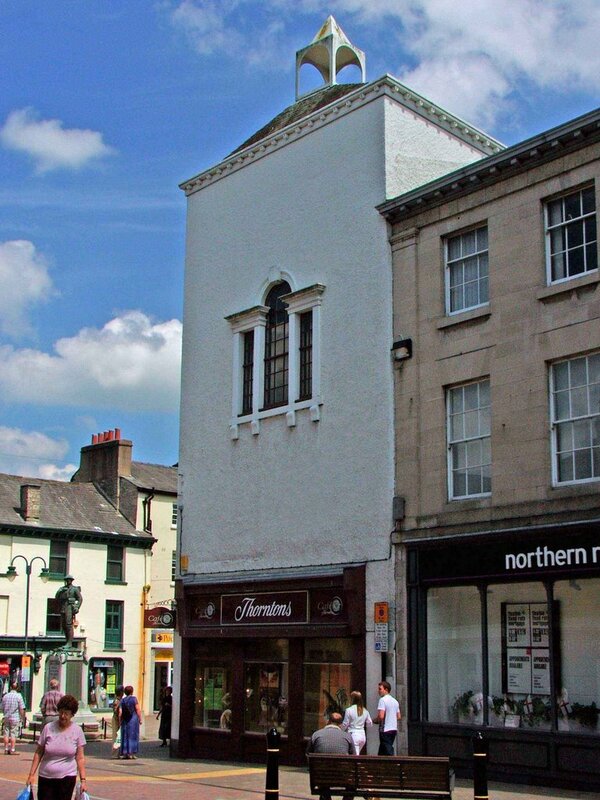 It was never Musgroves, which had several departments, some in separate buildings, on the south side of Finkle Street. 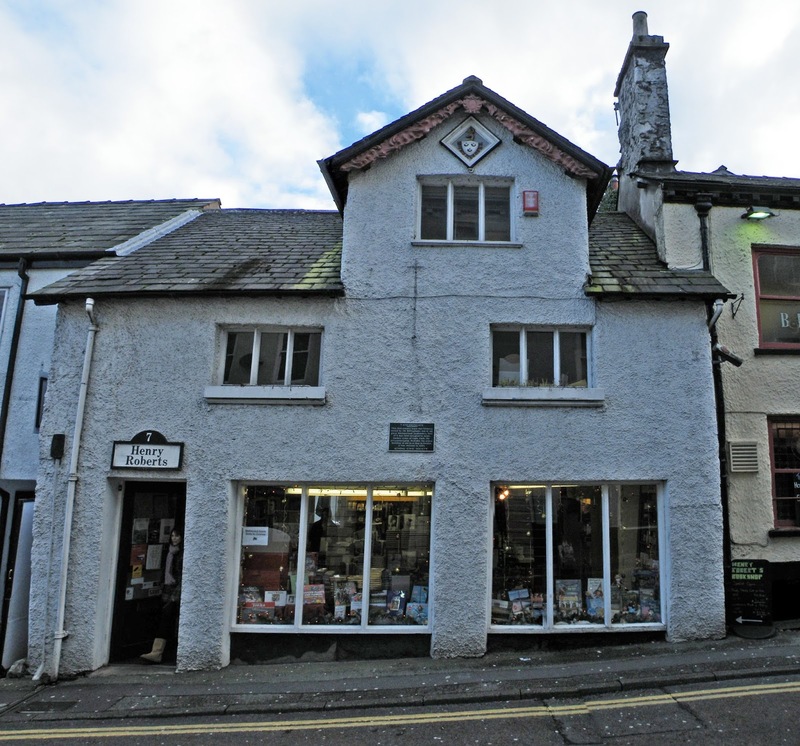 The building on the corner of the Market Place was surely Brunskills. It burnt down in the early 1980's and it was a gentlemen's outfitters at that time(similar to Burtons, but I can't remember the name).